Gerard O’Reilly is hardly a name synonymous with big trotting races but he gets a realistic chance to win the biggest one of all this week when he partners Ronald J in Friday’s $300,000 Dominion Handicap. 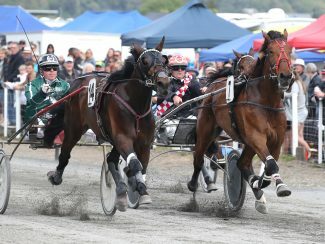 O’Reilly is best known in more recent times as the driver of Tiger Tara when he was trained by Geoff Dunn and together they won the Sires Stakes 3YO Final, Northern Derby and NZ Free-For-All while finishing second in a New Zealand Cup. O’Reilly had a good run with Tornado Valley towards the end of his time here with Terry McMillan, while he had the odd drive on Fraggle Rock when Carl Middleton had another one in the same race, which was often back in the early 90s. In between, O’Reilly had his own open class trotter in Master Bomber, who gave him his only previous start in a trotting Gr.1 when he contested the Dominion won by Stylish Monarch in 2010. “Master Bomber had been in good form leading up to the Dominion that year, but he got checked inside the last lap, although we were probably too far back anyway,” said O’Reilly. O’Reilly had never driven for Paul Nairn before, and he began driving in 1983, so he was surprised as anyone might be when he got the call about driving Ronald J earlier this season. “We sort of wound up with a vacancy to fill and when the owners started making some suggestions, one of the names that came up was Gerard and I had absolutely no problem with that one,” said Nairn. O’Reilly’s association with Ronald J didn’t start well but the situation has improved with each and every run since. 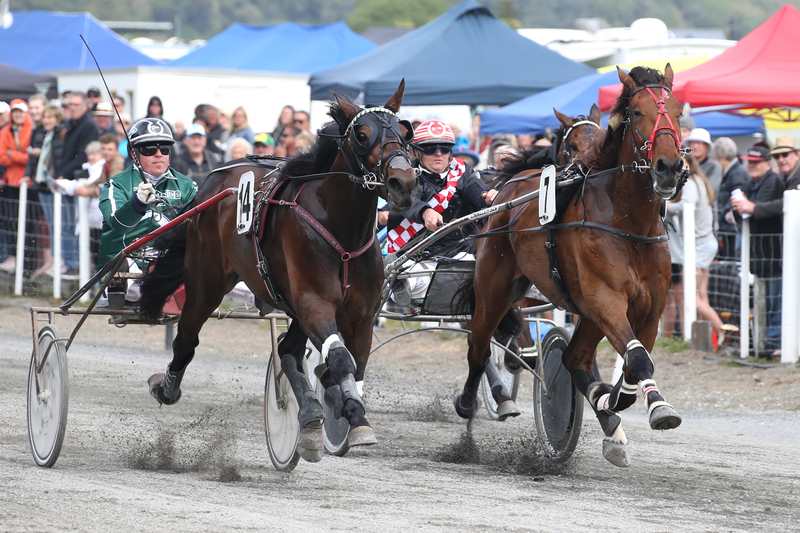 “The first time I drove him (in the Canterbury Park Trotting Cup) he broke at the 500m after being tightened by a galloper coming back on us,” he said. “The following week probably didn’t look too flash but he trotted home pretty good from the back in what was just a sprint home. “Then he was like a different horse at Ashburton and he went even better again at Kaikoura. “It probably took him some racing to get fit after being away for quite a while, but what has been noticeable is how much better he has been trotting in recent weeks. “Kaikoura is a tricky track to get around but he took the bends just great and he’s trotting really square and fluently now. O’Reilly was of course referring to Amaretto Sun’s shocking upset at 90-to-one and with the depth to this year’s Dominion, there’s plenty of scope for another one. Great Things Happen and Marcoola had major setbacks when drawing the second line and as such, Speeding Spur probably deserves his $3 favouritism. But a win by Harriet Of Mot, Lemond, Ronald J, Temporale, Kyvalley Blur and Woodstone would be no surprise and the winning chances don’t exactly end there either. With just 20 starts under his belt, Ronald J is the boy amongst the ‘big boys’ and still comes under the rising star tag, but so too did Thefixer on Tuesday.